Matis is one of a number of quirky Ohioans featured in The Amerikans, a series of web-based short films conceived by Mika Johnson ’00 and Oberlin Professor of Cinema Studies Jeffrey Pence ’88, and featuring the work of students from Oberlin’s conservatory and Cinema Studies program. The project grew out of an initial effort to create a film adaptation of the Franz Kafka novel Amerika. 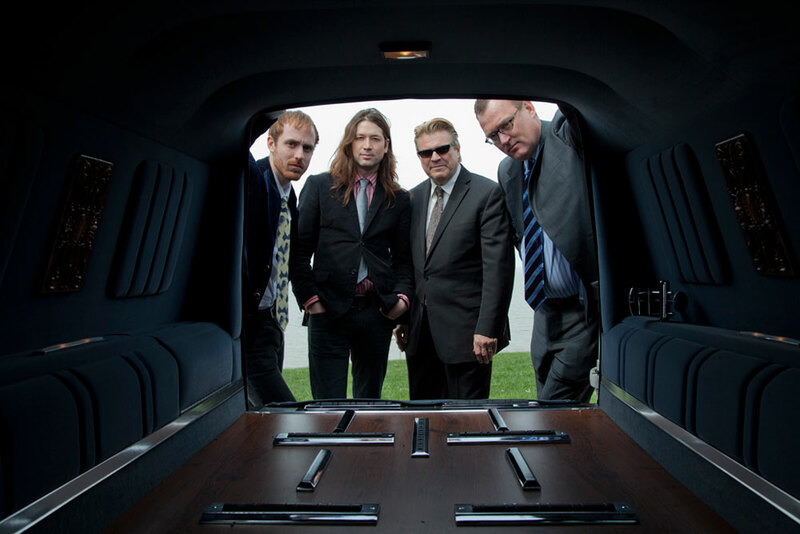 In addition to Matis, episodes of The Amerikans have featured a funeral home director, a graffiti artist named Fixer, and other fascinating local citizens. The Matis episode typifies the involvement of conservatory students: As he describes his spiritual journey while painting a canvas, his voice floats over choral motets by French composer Maurice Duruflé, lending gravity and dignity to his story. A cut partway through the film reveals Oberlin students singing the motets in Fairchild Chapel. Conservatory student Eli Stine ’14 is the sound designer responsible for the striking juxtaposition of choral music with Matis’ thoughts on art, spirituality, and life. Involved with The Amerikans since the first episode, Stine began by working with cinema studies majors on their film projects, and from there began handling sound design for alumni and professional filmmakers. 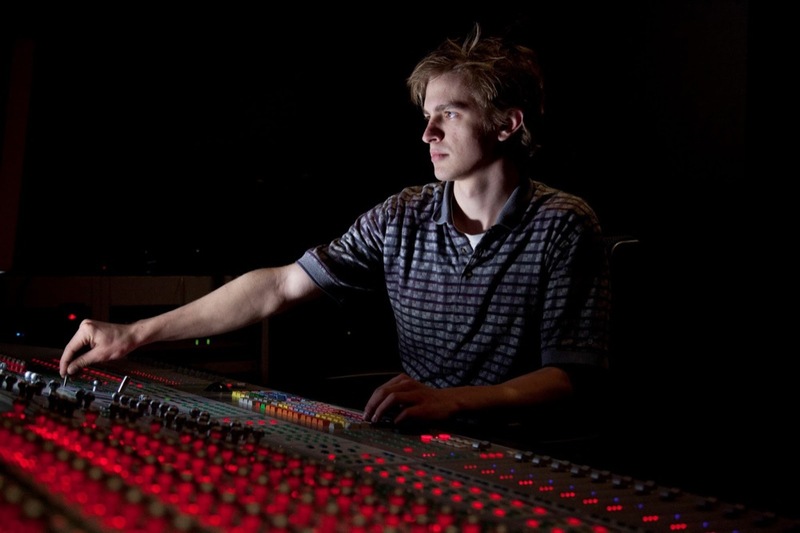 Stine describes his role in three ways: “Creating sound effects, cleaning up dialogue, and mixing everything—the diegetic sound from the story, narration, and the musical score—together.” He creates some of his own sound effects and uses effects libraries, and he helps with trouble- some aspects of the recording process: anything from re-recording muffled dialogue to assisting composers and musicians in adapting to the needs of the shoot. Stine also helps match the various projects with composers and performers from the conservatory. In addition to the artistic experience, working on The Amerikans provides students with valuable exposure to life as part of a professional film crew. 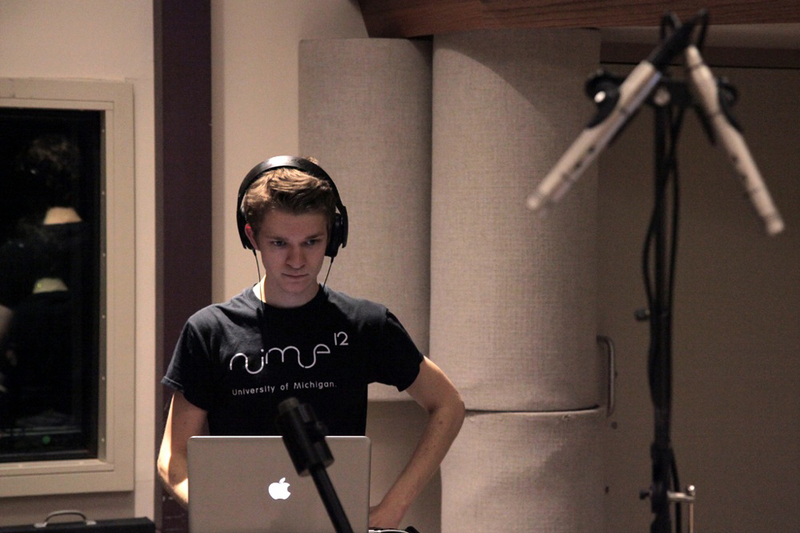 Most episodes feature performances by Oberlin musicians and sometimes pieces by Oberlin composers or other sound designers. For example, the episode “Love & Venom,” which focuses on the bee-sting therapy of Don Downs, included sound design by TIMARA major Charles Glanders ’14. Ryan Lester ’11, who has composed music for The Daily Show, created an original score for the episode, which was then recorded by conservatory students Jennifer Carpenter ’14, Rachel Iba ’14, and Jarrett Hoffman ’14, as well as Rosalind Soltow ’08. 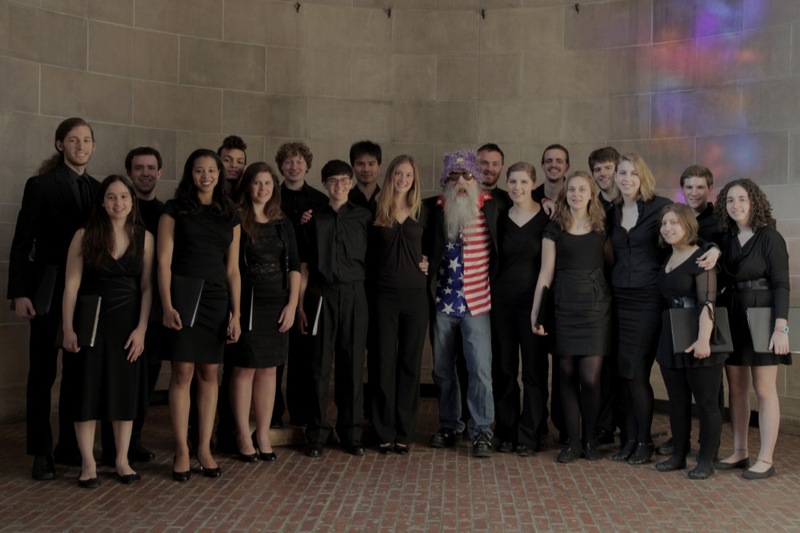 Such a collaboration—not to mention the numerous students and community members working on nonmusical aspects of the production—is typical of The Amerikans, a project that not only focuses on Oberlin and nearby communities, but could likely happen nowhere else. 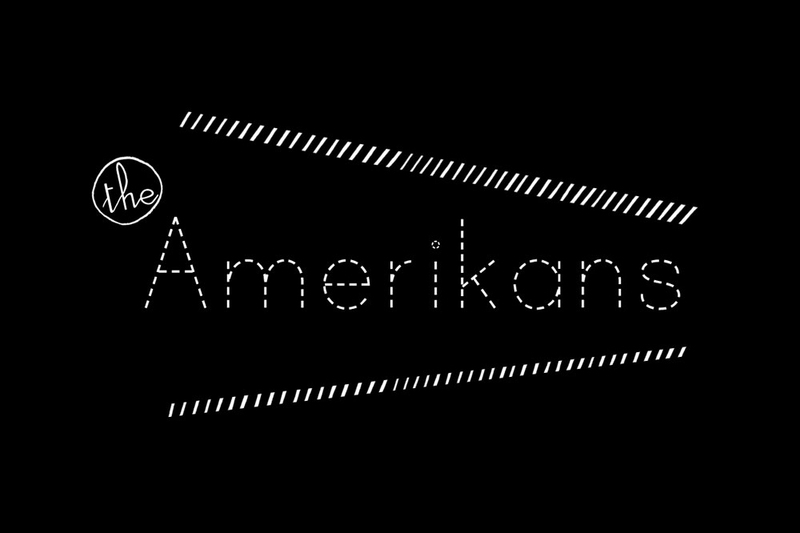 All episodes of The Amerikans are available online at www.theamerikans.org. for the most promising voice students in the conservatory, to be identified as Rubin Scholars. for the conservatory’s finest aspiring singers. Rubin’s gift will help sustain Horne’s work at Oberlin. Five decades since her operatic debut in 1954, Horne remains one of the most iconic artists to grace the stage. In 2002, Opera News wrote that she “may be the most influential singer in American history.” Incredibly versatile, Horne is dedicated to excellence in vocal art, with ongoing commitments for private teaching and master classes scheduled well into the next decade. “This is a special honor for me, personally, and a wonderful resource for Oberlin,” Horne says of her professorship. 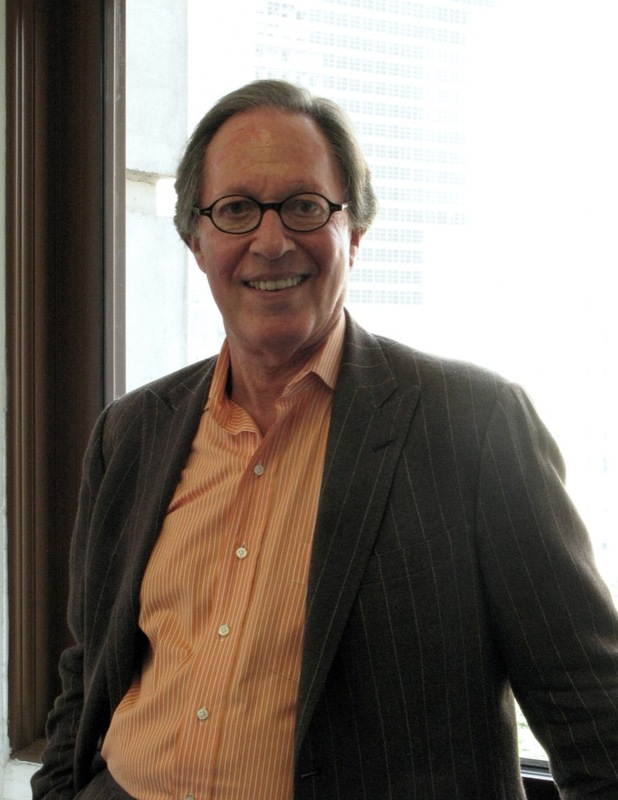 “On behalf of all of us at Oberlin, I extend my sincere gratitude to Steve Rubin for his extraordinary generosity,” says Dean of the Conservatory David H. Stull ’89. 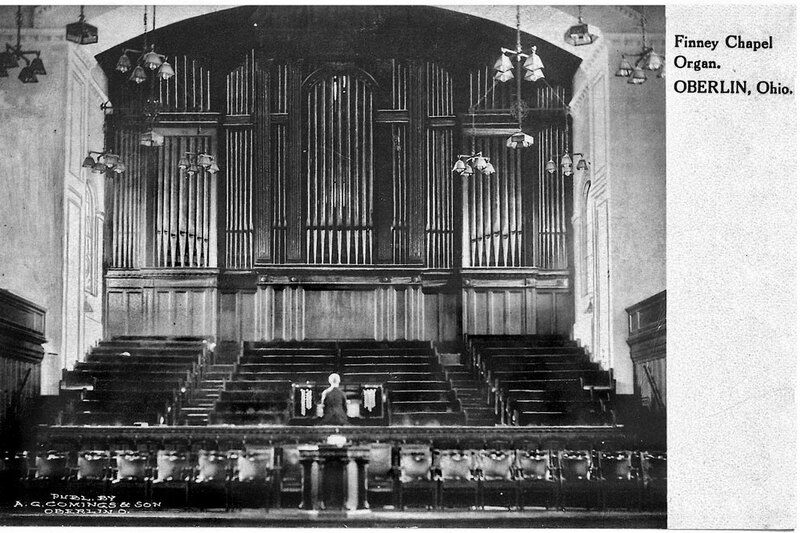 Pipe organs have a rich and vibrant history at Oberlin College and Conservatory and across the community—a history that has influenced organ building throughout the United States. For more than 125 years, Oberlin has been home to numerous high-quality organs large and small. Organs of Oberlin, a new coffee-table book by American pipe organ authority Stephen Schnurr, represents what is surely the most complete look to date of the continuing story of the organ at Oberlin—an exciting historic documentation and commentary of nearly every traceable organ in the town and at the college. Dedicated to the memory of Oberlin alumnus Roy F. Kehl ’58, an accomplished organist, pianist, and archivist of the historic piano producer Steinway & Sons, the book features full-color modern photographs and vintage illustrations, and includes a foreword by Oberlin Professor of Organ James David Christie ’75, MM ’77. “Stephen Schnurr has done amazing research on the history of the organs at Oberlin, from the early 19th century through the early 21st century at both the conservatory and in the city,” Christie wrote of the author, whose research is widely published. A limited number of books were published; the hard- bound edition is produced by Chauncey Park Press. Learn more about ordering the book by contacting Dennis Northway of Grace Episcopal Church in Oak Park, Ill.: 773-764-5003 or denden1958@runbox.com. Four students were honored in the annual Conservatory Concerto Competition, which took place in Finney Chapel in October. Those awarded performance dates with Oberlin’s orchestras were harpist Rebekah Efthimiou ’13, from Delhi, N.Y.; pianist Zhi Qiao ’13, from Anyang, China; clarinetist Paul DeRonne ’13, from Elmhurst, Ill.; and violinist Wyatt Underhill ’13, from Elm Grove, Wis. The Concerto Competition is open to conservatory seniors and Artist Diploma students. Efthimiou performed the Ginastera Harp Concerto, Qiao played Rachmaninoff’s Piano Concerto No. 3, DeRonne joined the Chamber Orchestra in Copland’s Clarinet Concerto, and Underhill finished the large ensemble season with Berg’s Violin Concerto in concert with the Oberlin Orchestra. Students chosen through the annual Danenberg Honors Recitals performed in Warner Concert Hall over the course of two nights in February. The programs—named in honor of Emil Charles Danenberg, who served for 30 years as a member of the conservatory piano faculty, subsequently as dean of the conservatory, and later as president of the college—showcase the breadth of excellence found in the conservatory. The award-winning solo performers included organist Sang Gil (Travis) Gu ’15 in Mendelssohn’s Sonata III in A Major. Violinist Zou Yu ’13 with accompanist James Howsmon presented Lutoslawski’s episodic Subito. Wyatt Underhill ’13 performed Schoenberg’s Phantasy for Violin, Op. 47 accompanied by pianist Gregory Wang ’13. Wang also offered the third movement of Stravinsky’s Trois Mouvements de Petrouchka. Alison Lee ’13 performed the outer movements of Prokofiev’s Piano Sonata No. 6 in A Major. Double-degree baritone Aaron Keeney ’14 sang Ibert’s Quatre Chansons de Don Quichotte accompanied by Casey Robards. Sean Dowgray ’13 performed She Who Sleeps With a Small Blanket by Kevin Volans for solo percussion. Ensembles representing several conservatory departments also performed. A string quartet with violinists Mari-Liis Uibo and Zou Yu, violist Aaron Mossburg ’13, and cellist Iva Casian-Lakos ’13 played Vasks’ String Quartet No. 4. The historical performance ensemble of Nathan Giglierano ’13, Juliana Soltis ’16, Justin Murphy- Mancini ’13, and Alana Youssefian ’14 presented Furcheim’s Sonata in E Minor on baroque instruments. 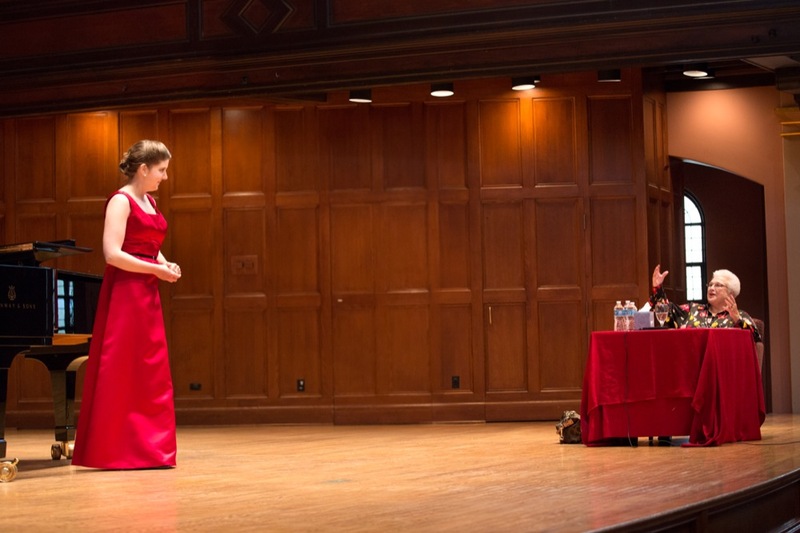 Composition major Yuxin Ouyang ’13 presented Act 1, Scene 2 from her opera Trajectory, featuring vocalists and instrumentalists including Danielle Cheiken ’14, Amanda Dame ’16, Daniel King ’14, Xiang Fang ’14, Yuri Popowycz ’15, Yizhu Mao ’14, Eric Tinkerhess ’13, Matthew Chamberlain ’13, and Caitlin Mehrtens ’15. From the jazz division, a quartet of Matthew Gold ’12, Chase Jackson ’13, Evan Levine ’14, and Ian McColm ’13 presented Jackson’s composition Embers. The Conservatory Project, part of the Kennedy Center’s Performing Arts for Everyone initiative, provides a platform for the best musicians from American conservatories and introduces the next generation of performers to Washington, D.C., audiences. Oberlin has presented free concerts on the Kennedy Center’s Conservatory Project series every year since its inception in 2004. The program this year featured seven students performing 20th-century works. Several of them had also been selected for the Danenberg Honors Recitals and reprised their performances for the Washington concert. Violinist Zou Yu ’13 opened the evening with Lutoslawski’s Subito, accompanied by pianist Joseph Hauer ’14. Pianist Gregory Wang ’13 followed with Igor Stravinsky’s Pétrouchka. Wyatt Underhill ’13, violin, joined Wang for Arnold Schoenberg’s twelve-tone Phantasy for Violin, Op. 47. The concert concluded with Heitor Villa-Lobos’ Trio for Oboe, Clarinet, and Bassoon, with Timothy Daniels ’15, oboe; Jesse McCandless ’15, clarinet; and Benjamin Roidl- Ward ’15, bassoon. The Thirstbusters, a pop-rock band featuring bass player and Oberlin jazz studies major Chase Jackson ’13, performed their latest single, “Bad Bad Girl,” on the hit CW Network prime-time series 90210 in February. 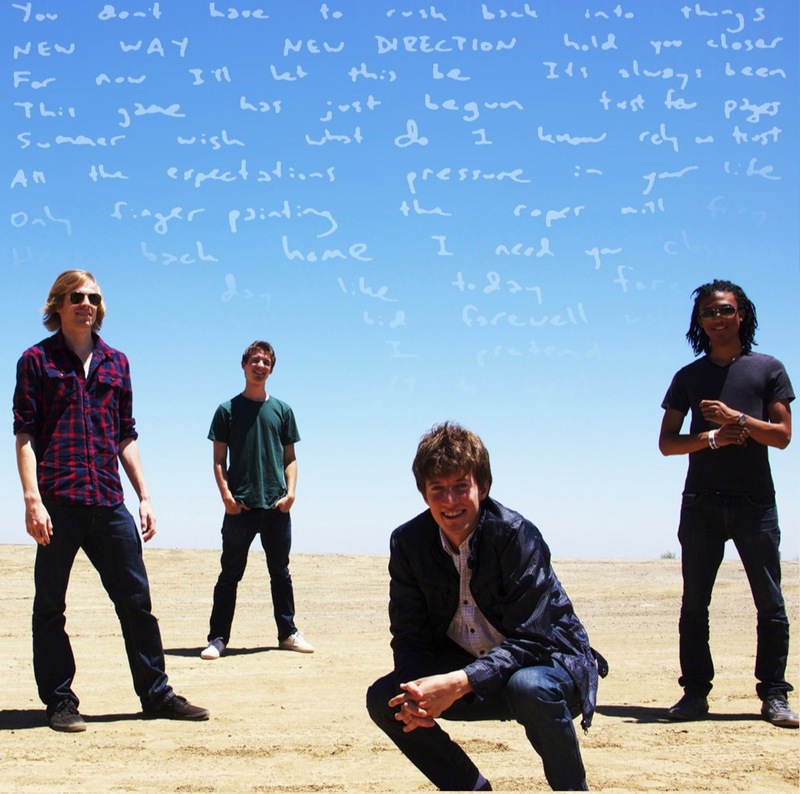 They also received a prestigious Independent Music Award nomination in the Rock/Hard Rock category for their other fan favorite, “Finders Keepers,” off their second album, Caught Between. Hear the band at thirstbusters.bandcamp.com.